This season, this hugely popular design has been again refreshed so that they can be easily stacked for improved shipping and in store display. 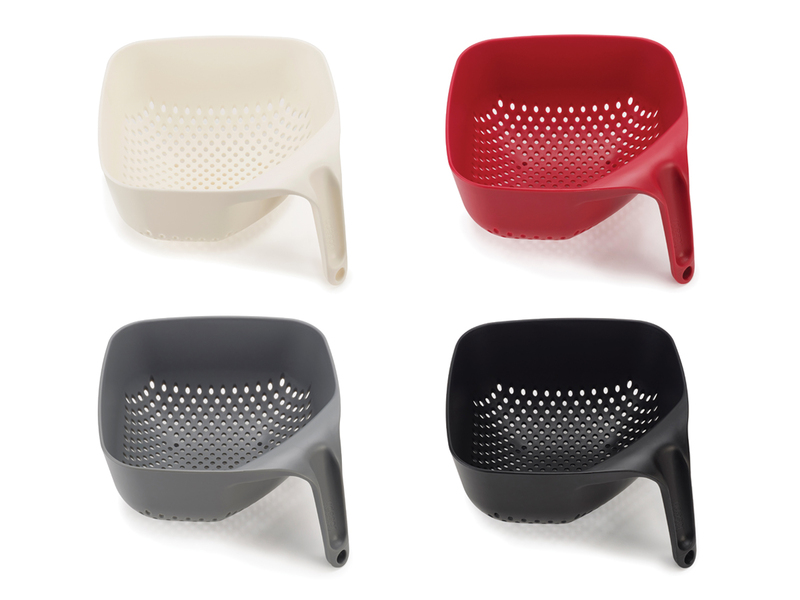 This ergonomic colander has several unique features. Firstly, the single vertical handle ensures it remains upright and stable if placed in a sink and, when held, leaves one hand free for operating the tap. Secondly, its square corners make emptying rinsed food much easier and more precise. Lastly, its vertical drainage holes allow liquids to drain away quickly and efficiently and its square shape makes for efficient storage.